Our world looks in vain for strong leadership. Politicians and popes no longer seem to offer it. 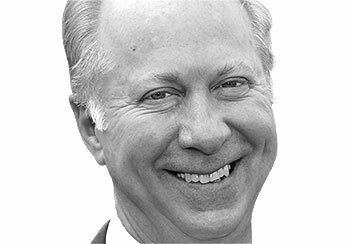 But if where we find modern leaders has changed, says David R Gergen, Co-Director of the Center for Public Leadership, what makes a leader has not. For decades, the United States military has prepared its future officers for the chaos of the battlefield by teaching them the acronym VUCA – volatility, uncertainty, complexity, and ambiguity. Our geopolitical realities have never been calm and ordered, but in an increasingly interconnected globe, every minor crisis and conflict has the potential to cause huge systematic shifts. As a world we are now facing a future of VUCA and more than ever, we need strong, effective leadership. This past fall, we lost one of the foremost American scholars on leadership, Warren Bennis, who taught us that “leadership is the capacity to translate vision into reality.” He also showed us that “good leaders make people feel that they’re at the very heart of things, not at the periphery.” But instead of clear vision, skilful implementation and a collective sense of purpose, citizens around the world have become fearful, distrustful, and impatient. The Outlook on the Global Agenda illustrates this reality. When you look at the results from this year’s Survey on the Global Agenda, 86% of the respondents strongly agree the world is facing a ‘leadership crisis’ today. In the top five global trends, respondents cite ‘lack of leadership’ and ‘the weakening of representative democracy’. Political leadership is unsurprisingly taking the most heat – in nearly every country surveyed, the public’s confidence in business leaders far surpassed their confidence in government leaders. Further, a hefty 55% of respondents to the Survey said they do not trust government to be transparent and accountable. We need moral, effective leadership to step up across our society – business, non-profit, and political leaders all have a role to play. Here in the United States, we’ve had a front row seat to dysfunctional political leadership. North American respondents to the Survey rated “collaboration” and “consensus-building” as two of the most important qualities that make a good leader. And yet, our current Congress is one of the most partisan and rambunctious of the past century, failing to address festering problems. In the White House, his critics believe that President Obama has suffered from a convoluted vision and a lack of foresight, and his multiple stumbles have helped to tank the public’s confidence in his leadership prowess. If you ask the respondents to the Survey on the Global Agenda, there’s no ambiguity about the qualities that make for strong leadership. From the US to Europe and Asia, there’s an agreement that having a “global perspective” is the number one skill for any strong leader in 2015. “Collaboration” emerges as another key trait, appearing in the top three choices for every region in our Survey, while “communication” was selected by four of the six geographical groups. So to solve our leadership crisis, something big needs to change. We need moral, effective leadership, collaborating and communicating across boundaries – business, non-profit and political leaders all have a role to play. And in a world where disruption is the name of the game – whether it’s due to a new technology or the increased frequency of political uprisings – it’s more crucial than ever that leadership engage and involve the public. On one hand, social entrepreneurs and innovators are thinking up new ways to tackle our biggest problems and need to be brought into the fold. On the other, frightening trends such as sky-high youth unemployment in countries of the Middle East, Mediterranean and beyond demand much more targeted efforts. On the international stage, we need our leaders to overhaul the system of global governance which aspires to provide leadership on a collective, worldwide scale. A majority of respondents believe global governance is a good idea, yet 86% believe it is poorly executed. This should come as a surprise to no-one but must remain a grave concern to us all. But finally, we must remember the old adage that we get the leadership we deserve. We the people bear responsibility. In one country after another, political polarization has come in part because the middle has fallen away and engagement has been dominated by extremists. Globally, we the people have been hesitant to speak up when it matters most, when we are facing the toughest of crises – from climate change to poverty to fiscal stability, and so on. This year’s Survey on the Global Agenda makes clear the necessity for strengthened leadership and to call out great virtues.